a little bit before the new year, I had been feeling down about not being exactly where I wanted to be. I thought about how much of a go-getter and overachiever I had been in high school and contrasted it to now, where getting to work on time with my hair in place and no coffee spilled on my outfit feels like an accomplishment. I was a bit of a downer, to be honest, and it just got to the point where I felt completely underwhelmed with myself. not fun. and then I decided to just be done with it all – the regrets, the shoulda, woulda, couldas. I was tired of being disappointed in myself and beating myself up. what’s that saying? “the world will break your heart 10 ways to Sunday, that’s guaranteed”. there is no need for me to add to that tally. in retrospect, yes, I was a bit of a steamroller in high school, but there were a lot of things I didn’t attend to. I didn’t do enough things simply because they were fun. I didn’t go to late night bonfires or stay out way too late on a Friday night or get in the trouble that kids are supposed to get into. I never tp’d someone’s house, never went on a date, never snuck a drink at a party, never relaxed. I studied really hard, worked really hard, and went to church. that was it. yes, I had a much clearer idea of what direction I was going in then than I do now, but so much of that was limiting, now that I look back on it. the path was clear because I never went from it, never questioned it. it was a bit lonely. on the days now when I sigh over the fact that I still don’t have all my sh*t together, I remember that I have way more fun now than I ever did back then, and how a lot of laughter and a lot of joy is more than a fair trade in exchange for a little uncertainty. I saw the quote above, and I was just drawn to it immediately. 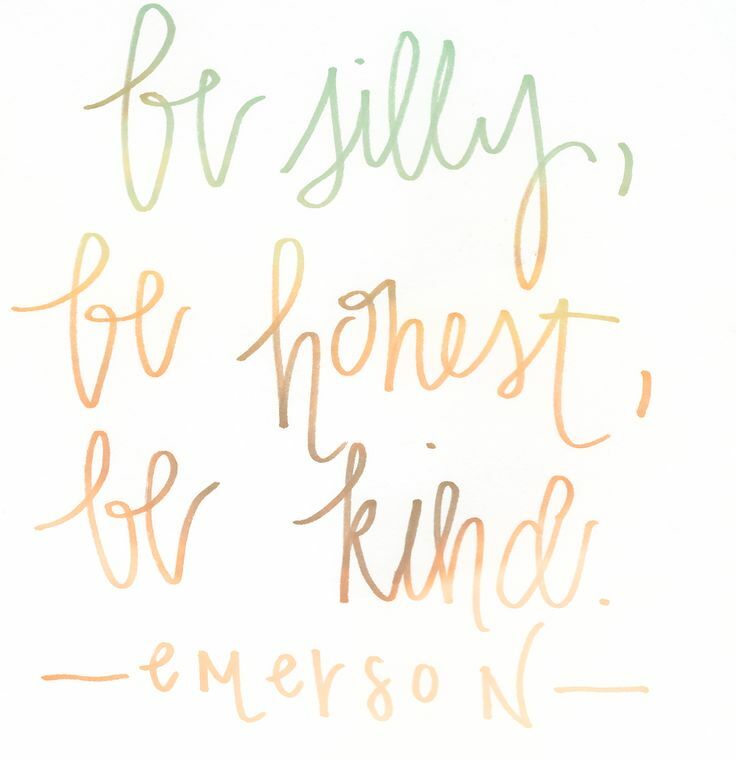 I want to make this year a year where I learn and relearn how to be silly, how to be honest, and how to be kind. p.s. to my fellow Midwesterners, stay warm and stay safe! my boss closed our office today, so I’m at home, enjoying the wonder of indoor heating and cautiously eyeing the ice forming on the inside of my windows!